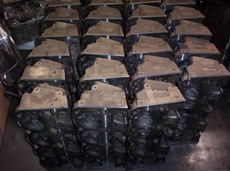 With nearly 1000 cylinder heads in stock, if we don't have it—chances are it doesn't exist! Compare our prices, and you will know why more people rely on us. Our cylinder heads are carefully inspected for cracks and flaws through procedures such as pressure testing and magna fluxing. 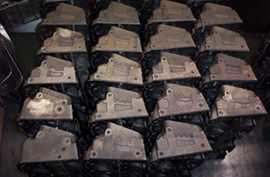 Every head is resurfaced to exact dimensional tolerances and the surface finish is carefully monitored for proper sealing with the block. Valve seats and guides are machined to exact specifications or replaced to assure correct valve alignment and seating and optimum engine performance. New seals, springs and brass freeze plugs are used where applicable. 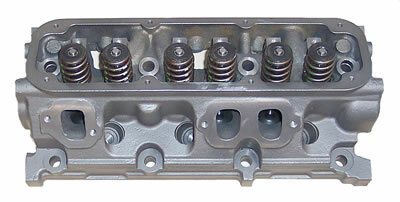 Don't see the cylinder head you're looking for? Call and one of our representatives will quote you the best price possible 1-800-767-4921.